We are planning a move, our production database from server A (which is SQL2005) to our new server B (which is SQL2008 R2). We are thinking and testing setting up logshipping between these servers in standby mode. This is because few applications need only to read the data. This is applicable to any lower to higher version restore. The standby mode restore is not allowed because the system level information (table, columns) might get change across version. If we perform backup from SQL 2012 and restore on SQL 2014 (using “WITH RECOVERY”, we can see below messages. Processed 0 pages for database ‘MyDatabase’, file ‘M’ on file 2. Processed 13 pages for database ‘MyDatabase’, file ‘M_log’ on file 2. 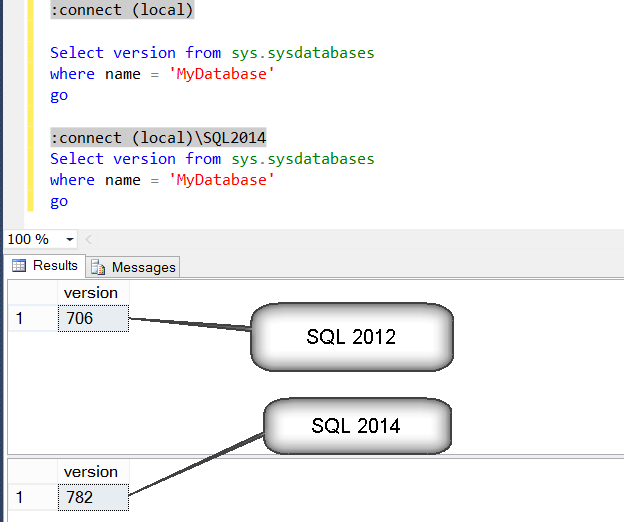 Converting database ‘MyDatabase’ from version 706 to the current version 782. Database ‘MyDatabase’ running the upgrade step from version 706 to version 770. Database ‘MyDatabase’ running the upgrade step from version 770 to version 771. Database ‘MyDatabase’ running the upgrade step from version 771 to version 772. Database ‘MyDatabase’ running the upgrade step from version 772 to version 773. Database ‘MyDatabase’ running the upgrade step from version 773 to version 774. Database ‘MyDatabase’ running the upgrade step from version 774 to version 775. Database ‘MyDatabase’ running the upgrade step from version 775 to version 776. Database ‘MyDatabase’ running the upgrade step from version 776 to version 777. Database ‘MyDatabase’ running the upgrade step from version 777 to version 778. Database ‘MyDatabase’ running the upgrade step from version 778 to version 779. Database ‘MyDatabase’ running the upgrade step from version 779 to version 780. Database ‘MyDatabase’ running the upgrade step from version 780 to version 781. Database ‘MyDatabase’ running the upgrade step from version 781 to version 782. RESTORE LOG successfully processed 13 pages in 0.088 seconds (1.109 MB/sec). 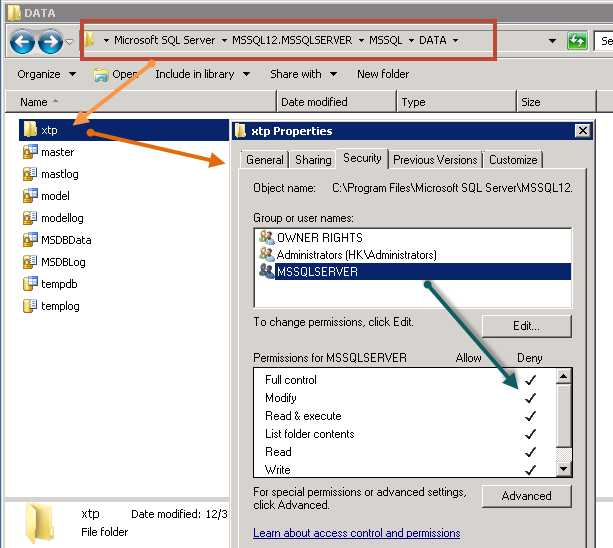 In summary, WITH STANDBY is only supported when both SQL Servers are the same version. 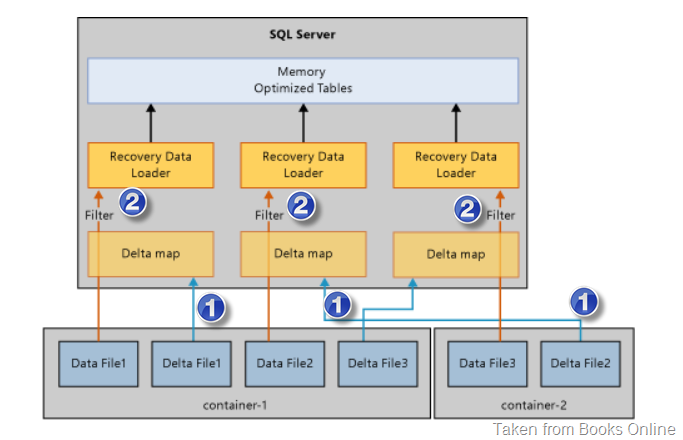 We can “see” the database table only by performing recovery. An alternative, if we need read access to the destination databases, is to use replication. As promised in my previous blog, I am going to demonstrate few failures of database startup and technique to find the cause and fix them. First trick which you should always remember is that whenever you see any “operating system error” with some number (2, 5, 32 etc.) try to find the text of that error number. The trick here is to use “Net HelpMSG” windows command to convert the number to text. Here are few quick samples. Now, we would first cause DLL generation failure during startup of database. As learned in earlier post, database startup (a.k.a. recovery) process would fail. Here is what we would see in ERROLROG. 2013-12-30 03:25:44.280 spid51 Starting up database ‘SQLSeverHelp_IMO’. 2013-12-30 03:25:44.520 spid39s restoreHkDatabase: DbId 8, Msg 41312, Level 16, State 4, Unable to call into the C compiler. GetLastError = 2. Now, you would understand why I spoke about Net Helpmsg command. Error 2 = The system cannot find the file specified. Now, next task is to find out which path/file. To find any activity done by a process, one of the famous tool to use is Process Monitor (free tool by Mark Russinovich). I have run the tool and applied filter for Process Name = sqlservr.exe. Here is the filtered information from process monitor. It means that SQLServr.exe is looking for CL.EXE under C:\Program Files\Microsoft SQL Server\MSSQL12.MSSQLSERVER\MSSQL\Binn\Xtp\VC\bin folder and unable to find the path. Indeed that is the problem. To do this failure, I have renamed bin folder to bin_xxx as shown below. Once I renamed the folder back to “bin”, I was able to bring the database online. I have simulated another failure of DLL generation by making some changes on operating system level and restarted SQL Server. Always check errorlog and here is what we would see. 2013-12-31 20:01:35.040 spid20s SetNamedSecurityInfoW failed for directory C:\Program Files\Microsoft SQL Server\MSSQL12.MSSQLSERVER\MSSQL\DATA\xtp for reason 5. 2013-12-31 20:01:35.040 spid20s Error: 41334, Severity: 16, State: 2. 2013-12-31 20:01:35.040 spid20s The code generation directory ‘C:\Program Files\Microsoft SQL Server\MSSQL12.MSSQLSERVER\MSSQL\DATA\xtp’ cannot be created or set up correctly. 2013-12-31 20:01:35.060 spid20s Error: 41334, Severity: 16, State: 2. 2013-12-31 20:01:35.060 spid20s The code generation directory ‘C:\Program Files\Microsoft SQL Server\MSSQL12.MSSQLSERVER\MSSQL\DATA\xtp’ cannot be created or set up correctly. 2013-12-31 20:01:35.170 spid19s Error: 41334, Severity: 16, State: 2. 2013-12-31 20:01:35.170 spid19s The code generation directory ‘C:\Program Files\Microsoft SQL Server\MSSQL12.MSSQLSERVER\MSSQL\DATA\xtp’ cannot be created or set up correctly. Important piece of error message is reason 5. If you recall what you read above, net helpmsg 5 = Access Denied. How would you troubleshoot? Again same tool, process monitor. If we filter for all access denied (right click on Access Denied text and say "Include"), it’s clear that Service account is trying to generate the DLL of table but unable to do so. Checking properties of XTP folder reveals the same. To break the things, I given “deny” on that folder to SQL Service account. Another possible reason of database not able to recover would be out-of-memory errors. Since all data needs to be loaded into memory before in-memory tables can be accessed. In-memory engine needs to have all the memory available to hold the data at startup of the database. If the system is low on memory or max server memory is set to too low, we might encounter recovery failure. In such situation, you may want to stop other processes running on the server so that SQL is having enough RAM to load in-memory tables. I hope that this blog has given you some hints about possible failures, troubleshooting tricks and their resolutions.